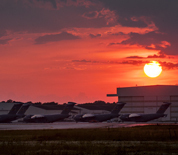 Joint Base Charleston serves more than 80,000 Active Duty Military, Reserves, Government Employees and Contractors and Dependents. Because of the mild climate and moderate cost of living, Charleston has a very large population of retirees. Joint Base Charelston also serves members from other military services. Tenant units include 1st Combat Camera, AFOSI Det 310, Area Defense Counsel, and Air Force Audit Office. JB Charleston - WS is home to the Naval Nuclear Power Training Unit; an engineering center, with the Space and Naval Warfare Systems Center and as the Army logistics hub, the busiest CONUS surface port in the defense transportation system.